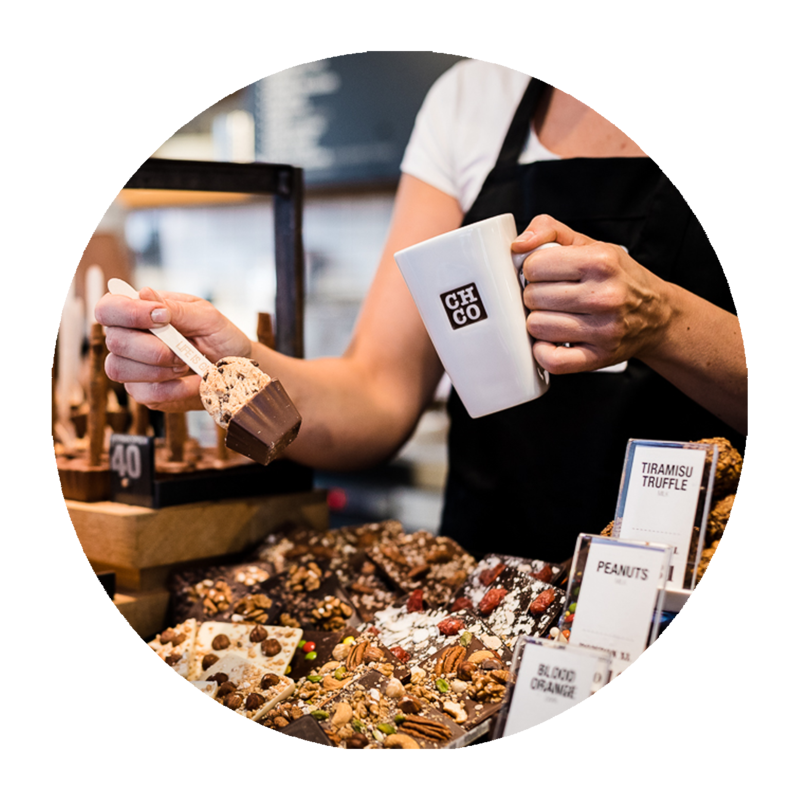 You will find this chocolate paradise right in the center of Leuven. Here our chocolistas are waiting for you from morning until evening with a delicious croissant and a good cup of coffee or a delicious salad or richly invested sandwich for lunch. You are also very welcome for one of our cakes, such as our famous Killer Brownie, creamy cheesecake or our delicious gluten-free ginger role . At Chocolate Company we pay a lot of attention to training our baristas, only we call them chocolate! They lovingly make a nice cup of coffee for you from freshly roasted Single Estate coffee beans . For the latte and cappuccino drinkers among us you can also choose from soy, coconut and almond milk! 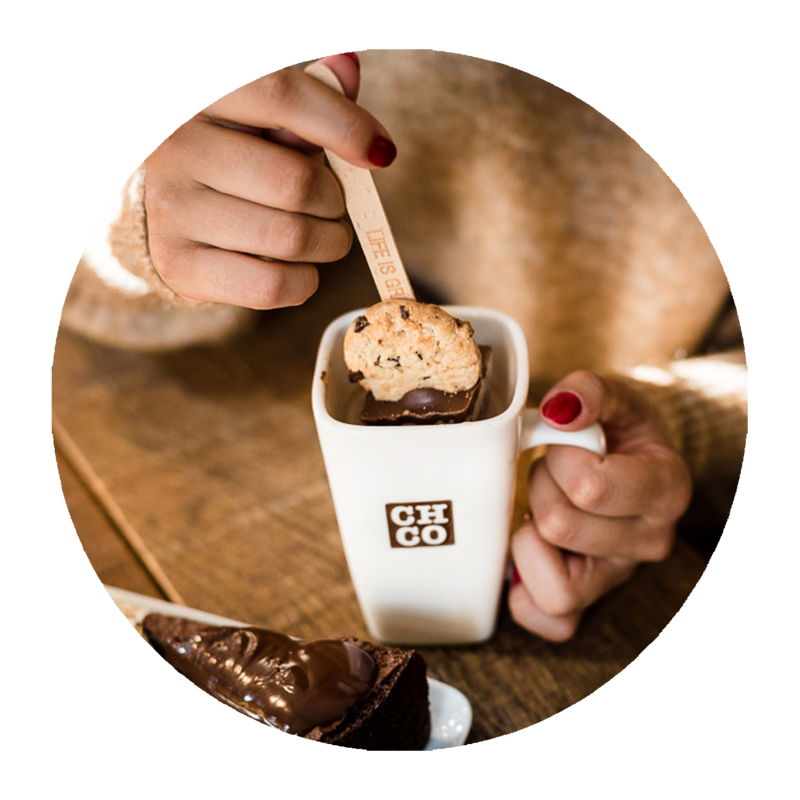 Do you want to enjoy a self-chosen Hotchocdip - the chocolate fondue in a cheerful tin - served with delicious fresh fruit, marshmallows and cookies. Jummy! A chocolate fondue is € 11.50 per person and can be booked from 2 people. Would you rather go for a High Tea? Which can! 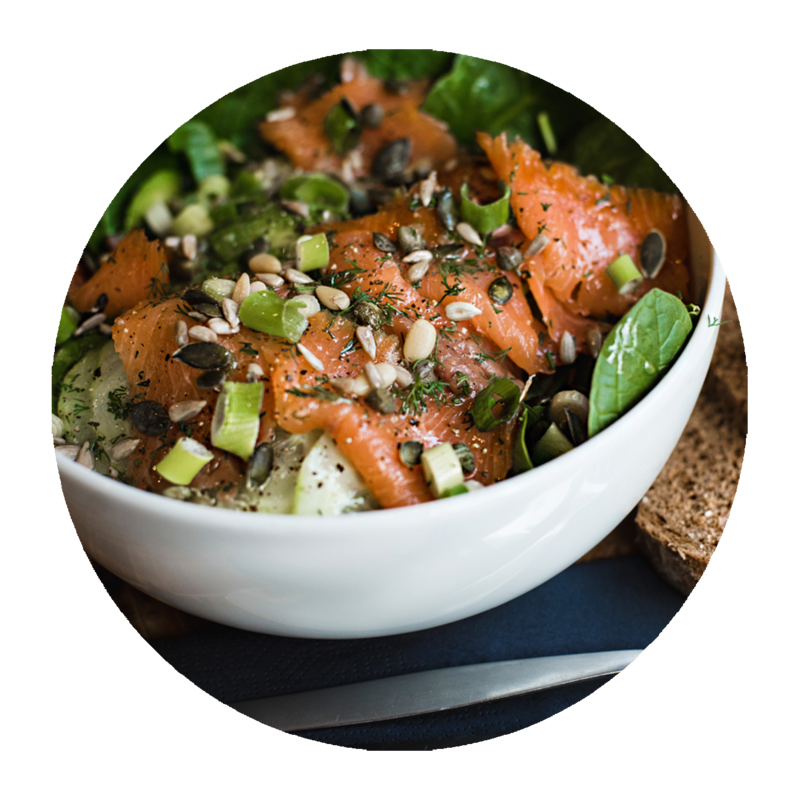 With our High Tea you can enjoy our delicious cakes, fruit, bombons, sandwiches and toastie. Unlimited tea included! A High Tea is € 19.25 pp and can be booked for 2 people or more. Are you a real chocolate crap and this is not enough chocolate for you, then you can also opt for the High Choc. This is accompanied by a hot chocolate milk - made with a Hotchocspoon of your choice - and a chocolate fondue. Nice to dip your fresh fruit, marshmallows and cookies. A High Choc is € 19.25 pp and can be booked from 2 people. Come and enjoy top quality chocolate and the tastiest tarts with just the two of you or a larger group. Reserve by e-mail or give us a call and we will take care of the rest. Also let us know if you need to take allergies or vegetarian options into account. Buy advance your High Tea / High Choc!